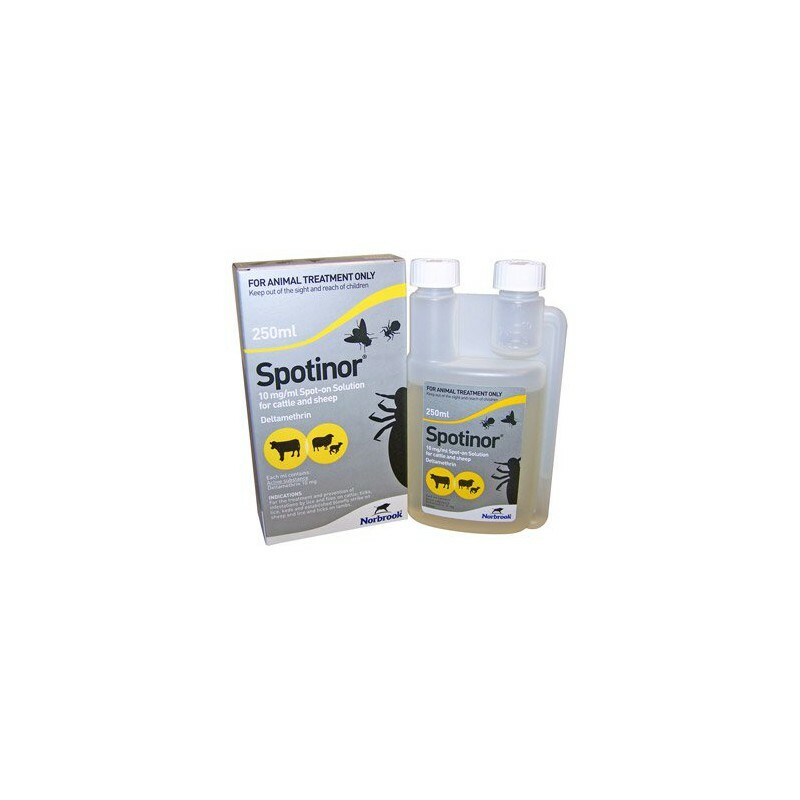 Spotinor 10 mg/ml Spot-on Solution for cattle and sheep. For the treatment and prevention of infestations by lice and flies on cattle; ticks, lice, keds and established blowfly strike on sheep and lice and ticks on lambs. 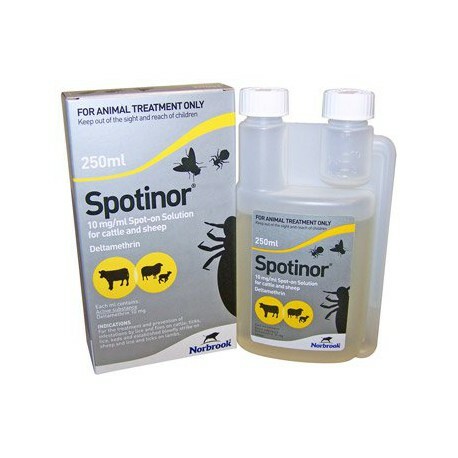 On cattle: For the treatment and prevention of infestations by both sucking and biting lice, including Bovicola bovis, Solenopotes capillatus, Linognathus vituli and Haematopinus eurysternus in beef and dairy cattle. 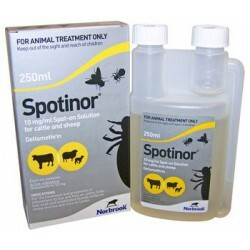 Also as an aid in the treatment and prevention of infestations of both biting and nuisance flies including Haematobia irritans, Stomoxys calcitrans, Musca species and Hydrotaea irritans. On sheep: For the treatment and prevention of infestations by ticks Ixodes ricinus and by lice (Linognathus ovillus, Bovicola ovis), keds (Melophagus ovinus) and established blowfly strike (usually Lucilia spp). On lambs: For the treatment and prevention of infestations by ticks Ixodes ricinus and by lice Bovicola ovis.